Welcome to the Dell EMC Converged Platforms and Solution’s Division Ask the Experts conversation. We'd like to kick off this discussion with a video chat between Stu Miniman from theCUBE and Shelia Hartness of Wake Forest Baptist Medical Center about how Wake Forest deployed converged infrastructure and adopted an IT culture that optimizes the benefits of converged infrastructure. After viewing the webcast, please scroll down and join the conversation! This discussion takes place Oct 3rd - 14th. Get ready by bookmarking this page or signing up for e-mail notifications. Shelia Hartness is a Lead Software Systems Engineer at Wake Forest Baptist Medical Center, a nationally recognized, fully integrated academic medical center and health system based in Winston-Salem, N. Carolina. Hartness describes how her organization aligned its IT team to get the best out of its converged infrastructure in this article from the Data Center Journal, Becoming a Converged Engineer. Brett Foy is the General Manager of AHEAD's Cloud Delivery Platform with focus on Cloud and Datacenter Infrastructure, End-User Mobility and delivery of AHEAD's consulting Innovation Framework. Through Brett's 6 year career at AHEAD, he has been focused on helping dozens of enterprise and mid-market companies formulate data center strategies and execute modernization plans, with focus on next-generation data center technologies around Converged Infrastructure, Virtualization, Computing, Networking, Storage, and Backup/ Recovery. 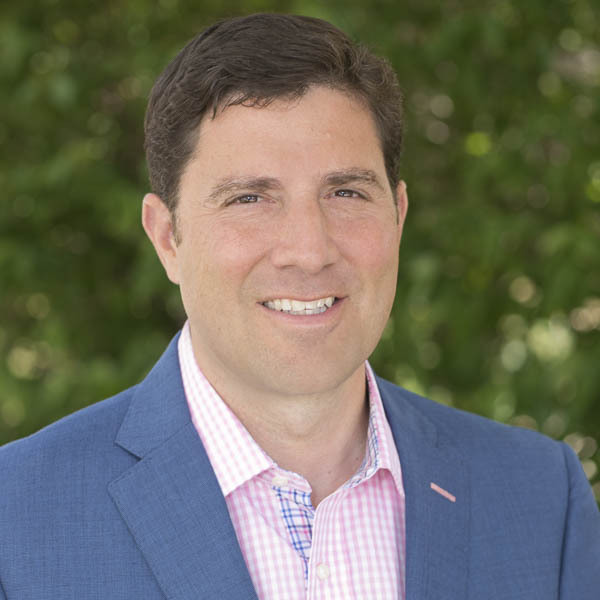 Todd Pavone is the Chief Operating Officer of Dell EMC’s Converged Platforms and Solutions Division, responsible for its operations, product engineering, product management, product marketing and manufacturing. Nigel Moulton is the EMEA CTO and leader of the Global CTO team at the Converged Platforms and Solutions Division of Dell EMC. Moulton is responsible for the technology strategy of CPSD in EMEA, working with counterparts globally, to ensure that the benefits of infrastructure solutions are broadly understood by both customers and business partners alike. As a broad theme, Moulton shows how converged infrastructure drives greater efficiencies in the data center, and demonstrates how organizations are able to move to business models that derive huge value from cloud, big data and analytics, delivering a better business outcome more accurately and more quickly. Pat currently leads professional services for the Americas for Dell EMC’s Converged Platforms Solution Division (CPSD). 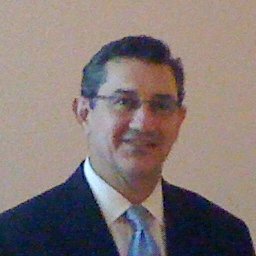 Having served the last 25 years at companies including Dell EMC, VCE, EMC, Perot Systems, Raytheon, and Texas Instruments, he has an extensive and successful track record, building global professional services organizations, technical selling and developing strategies for cloud go-to-market organizations covering diverse industries and regions. He was responsible for building and managing one of the largest object-based public clouds. Pat is passionate about providing a superior customer experience and continuous improvement. INTERESTED ON A PARTICULAR TOPIC? SUBMIT IT TO US. Welcome to this Dell EMC Community Network Ask the Expert conversation. Our discussion is now open for interaction. Sign in or register to engage – You must login or, if you’re new, register to DECN in order to post a question, like, bookmark or follow this discussion. https://developer-content.emc.com/login/login.asp. Be respectful – SMEs are volunteering to assist you and will provide you with information that they have access to. Provide details and background – Our SMEs will try their best to provide a full answer for your satisfaction, but will appreciate as much information you can provide about your inquiry. Keep focus and within topic – The expectation is to receive questions about the topic is that is being presented on the title and description of this event. We would appreciate if questions are kept within those boundaries. Be appreciative – Many tools available for this, likes, user ratings, follow, bookmark and the good old “thank you”. We’re delighted to know you’ve decided to join our debate and hope you receive the answers you’re eager to find. Thanks! Awareness of the benefits of converged infrastructure (CI) is increasing every day. IT orgs are starting to understand the benefits of having a CI team. Shelia and the team from Wake Forest have experienced the organization before and after their Vblock deployment. Shelia can you describe how the IT staff was organized before your CI deployment? Our IT organization before our Converged Infrastructure initiative was organized along the traditional lines of storage, networking, and servers with very little skill overlap between these areas. With our new Converged Infrastructure initiative we are focusing on cross-training opportunities for our engineers and operations staff to develop skills outside their primary area of expertise. This also allows for a greater levels of collaboration between teams by understanding how other areas of our Converged Infrastructure function. It also helps our staff have greater opportunities for career development and opportunities to learn new and interesting technologies. Thanks for the great info Will Robinson! By chance, would you be able to share some of the "cross-training" opportunities that your team has leveraged to develop the skills needed to support the CI initiative? Sure. One of the cross training opportunities that comes to mind was a training class we had on site for the CIsco UCS platform. We encouraged people from both the networking and storage teams to attend the training to become familiar with the workings of the UCS platform. After the class the participants had a better understanding of how the UCS Converged Infrastructure is deployed and managed. Since Converged Infrastructure really blurs the lines of servers, networking and storage we are encouraging our staff to expand their skillset across multiple disciplines. I know we have also had server administrators attend classes for MDS switches, networking administration classes, and load balancer training. These cross-training opportunities have improved their skillsets to be able to better support our Converged Infrastructure initiatives. Thanks Will, really appreciate the answer.